Depending on your needs, you may also find the following resources of use. The list is not extensive but includes a handful of niche counselling support groups, charities offering specialist help, online therapy forums and 24 hour counselling support lines. For anyone experiencing mental health problems including anxiety and depression. Advice and support to anyone experiencing a mental health problem. Support for after the loss of a loved one. A Brighton based charity with a focus on supporting anyone affected by suicide. The UK Association for Transactional Analysis. A professional body monitoring standards of competence and ethical practices by trainee and qualified Transactional Analysts. The UK Council for Psychotherapy. The leading body for education, training and accreditation of psychotherapists and psychotherapeutic counsellors. 24hr confidential, emotional support for anyone in crisis, including their family and friends. Support for those who self-harm. Non-medical respite centre for those in suicidal crisis. Free 4 night stay, based in London. 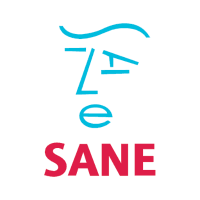 SANE was established in 1986 to improve on the quality of life of those with mental health issues. Friendly, confidential drugs advice. Live chat 2pm-pm and SMS service via 82111. Facts, personal stories and information on emergency help. Help and support for those experiencing panic attacks, phobias, Obsessive Compulsive Disorders and other anxiety related disorders including those who are trying to give up on use of tranquilisers. Also have a specific Youth helpline for 13-20 year olds: 0330 606 1174. CALM is a movement dedicated to male suicide – the biggest killer of men under the age of 45 in the UK. Essential support for anyone under 25. Support service offering support online, via confidential freephone number or via social media for any range of issues facing you such as mental health issues, money, drugs, homelessness etc.